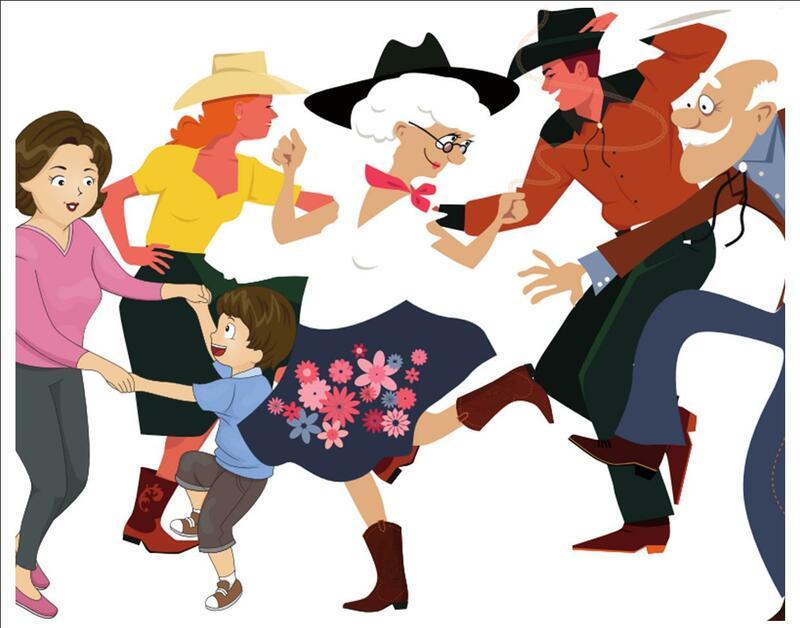 Fun interest-led outings & events. Learn new things, explore wonderful places and make new friends. Bring walking boots and money for refreshments and travel if required. Meet at Teddington Lock at 10.45am. Bus 267 Fulwell to Brentford Fountain Leisure Centre (approx 40 minutes) plus 20 min walk (along the road and through the park) to the Museum. TIME AND MEETING PLACE: 9.30am Meet at Bus Stop 'A' opposite the entrance to Fulwell Bus Garage on Hampton Road. The stop is outside Squires Garden Centre. Return to Fulwell approx 3pm. COST: FREE ENTRY to Gunnersbury Park Museum. Travel and Café costs as required. 'This summer marks the first anniversary of the re-opening of the Museum following our major transformation project. We've welcomed thousands of local people through our doors to explore the Rothschild Mansion, special exhibitions, and three floors of interactive galleries showcasing stories of the local area and diverse communities.' (From the Gunnersbury Park and Museum March-August 2019 handbook). The large mansion is set within this 186 acre London park and has been known as the Gunnersbury Park Museum since 1929. Former residents have included Sir John Maynard from 1663, Princess Ameila from 1760 (favourite daughter of George II) and the Rothschild family from 1835-1925. It was sold by Mrs Rothschild to the neighbouring local councils as a permanent memorial to her husband, to be used for leisure by the whole community, which is still the case today. We'll assemble at the Fulwell bus stop to travel together on the 267 bus which takes us most of the way. There we will get off and walk the last bit, entering the park from the south eastern gate and walking past the stables, orangery, and horseshoe pond to reach the Museum and Café. There is disabled parking right beside the Museum entrance for those who need it. There are level paths throughout and ramps and lift in the Museum. The general car park is a 20 minute walk away from the Museum, with entrance via the north gate. We can start with coffee in the lovely bright Café around 10.30am-11am and use the nearby toilets before entering the Museum which is FREE. You are welcome to self-navigate after a welcome introduction, or join a 1 hour bespoke tour (time to be decided) to learn more about the house and its fascinating history. This will cost £10 per person and we will need comfirmed numbers before our visit. Lunch in the Café will follow a tour of the Museum. There are sandwiches, salads, soups, oven-baked pizzas and hot dishes as well as cakes etc. Afterwards explore the Park and grounds further or return to the Museum. As part of the the Park's plans to recreate the original landscape, thousands of bulbs have been planted, so April will be a lovely month to visit. COST: Free entry to building. Train fare (Oyster or Travelcard, see below) Money for drinks & food in Café on site if required or pub lunch if Café full. The Power of Seeing is the eighth Winter Exhibition to take place at Two Temple Place and runs until 22 April. 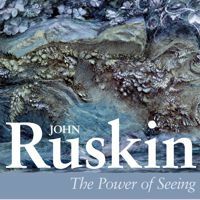 The exhibition will bring together over 190 paintings, drawings, daguerreotypes, metal work, and plaster casts to illustrate how John Ruskin's attitude to aesthetic beauty shaped his radical views on culture and society. This beautiful house is one of London's architectural gems, an extraordinary late Victorian mansion built by William Waldorf Astor. It was designed for use as Astor's estate office by the architect, John Loughborough Pearson, and finished in 1895. It is now owned by the registered charity, The Bulldog Trust and supports the charitable activities of the Trust through exhibitions and events hosted in the building. 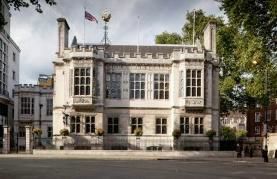 From Waterloo Station we walk (15 mins) across Waterloo Bridge to visit Two Temple Place on Embankment. There will be time for coffee before viewing the exhibition and for lunch afterwards. There may also be time to explore the surrounding Temple area. In the Café, there is a delicious selection of food, including sandwiches, sausage rolls, hot soup and sweet treats. A selection of hot and cold drinks will also be available. A wide variety of gifts, souvenirs and original art works are on sale in the shop. TO BOOK: Email or phone Janet h 020 8977 3534, m 07944 969 028 email dilleyjanet@hotmail.com or add your name to the list of attendees in the Atrium. Maximum of 12 people. 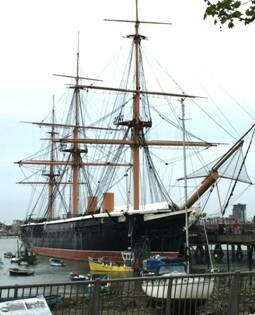 Portsmouth is an historic city that has enjoyed substantial regeneration in recent years. It offers a broad range of sights and activities making it a great destination for a family day out. There are three connected waterfront areas: Gunwharf Quays, Historic Dockyard & the Chain Walk (also called the Millennium Promenade). Our group meeting point at the start and end of the day will be the Spinnaker Cafe at the base of the tall modern Spinnaker Tower right on the waterfront which can be clearly seen from all around. Get your bearings by downloading a Portsmouth map at https://www.visitportsmouth.co.uk/visitor-information/maps-and-downloads. After arriving by train or car we'll assemble at the Spinnaker Cafe at 11.45 to set out the arrangements, ensure you all have the information and maps you need and everyone is attached to a small group. Then we recommend exploring part, if not all, of the following areas. It's up to you to book tickets for the attractions in the Dockyard area, if you want to. FREE: Follow part of the 3 km continuous pavement Chain Walk for an interesting tour of Old Portsmouth that takes in the creek, an old fishing settlement, boathouses, pubs, fortifications etc. We trialled the walk to point 23 in the guide (45 mins if walked briskly with short stops, some stairs after point 8) before heading inland to visit Portsmouth Cathedral (spot it by its dome with golden ship atop). Learn interesting facts from the guide eg King Charles II met his bride-to-be Catherine of Braganza off her Portuguese ship at Portsmouth. From the cathedral back to Gunwharf Quays it's a 15 min walk. (Allow 1.5hr total walk). We can meet up again around 4pm at the Spinnaker Cafe for anyone who wants to before starting the return trip. This is an outing to the William Morris Gallery, Walthamstow. 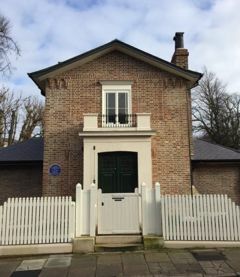 The former childhood home of William Morris was given to Walthamstow Council by a subsequent owner and converted into a gallery about the life and work of William Morris. The house is set in Lloyd Park. In Walthamstow, we walk from Walthamstow Central Underground Station through the end of Walthamstow Market, past ethnic shops and Victorian terrace houses to the William Morris Gallery formerly known as the Water House. The house is a very attractive building dating from about 1740. Inside there are galleries about the various strands of the life and work of William Morris. There are also two short term exhibitions one called Weaving New Worlds and the other of work by a Japanese artist influenced by William Morris. The park has a William Morris inspired garden as well as Victorian style formal terraced flower beds and a serpentine lake with ducks. Meet at Teddington Railway Station at 9.30am to travel to Walthamstow Central Underground Station. The rail and Underground journey takes about one hour with lots of steps at stations and a walk at the other end of about 20 minutes. Entrance to the Gallery and Park is free. Lunch is available in two cafés - one in the house and one in the park. We will get back to Teddington about 3.00pm. For further information contact: Elizabeth Hicks Email: ejhicks@btinternet.com or Tel: 0208 977 8406. You could also click on William Morris Gallery or search for it on Google. To book, either Email or phone Elizabeth or just turn up on the day. We may have the Royal Opera House backstage tour to ourselves (if we are a full group of 20) or other visitors may be added to our number when we get there to make up a full group. We need a minimum of 10 people signed up to book the tour. The tour covers the auditorium where our guide explains the history of the Royal Opera House. 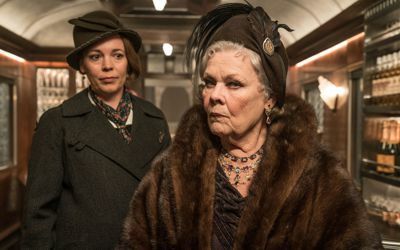 We are then taken into the old flower market (of My Fair Lady fame) which has been comprehensively refurbished in recent years. From here we go backstage and the rest of the tour will depend on which rehearsals are taking place. 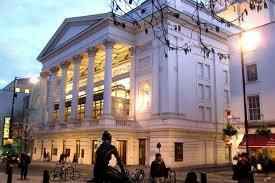 As the Royal Opera House is a fully working theatre, each tour is a unique experience, and may include opportunities such as seeing the Royal Ballet performers in class and the magnificent backstage technology in operation which allows scene changes in 40 seconds. The tour could also include the wardrobe area and the props room where some amazing things are made (see picture above). Who knows what famous ballet or opera stars we may see? It will be a truly memorable trip. After the tour we have time to take a late lunch in one of the many food houses around. We can then stay for the rest of the afternoon walking around the area or make our way back home as suits. The tour starts at 12.30pm and lasts 75 minutes, followed by a late lunch and a walk around the area. COST: Tour £10.50, payable in advance to Tim Perrin who will be leading the trip. Train fare (Oyster or Travelcard) and food as required. Stanley Picker was a patron of the arts who formed a very individual collection of twentieth century sculptures and paintings. He was born in New York in 1913 and died in England in 1982. Stanley's house off Kingston Hill, which is owned and managed by the Stanley Picker Trust, was designed by Kenneth Wood and built in 1968. The specification for the design was that it should be built to house and display his art collection and, at the same time, be a home where he could live and enjoy entertaining. The garden gallery was added in 1976 to accommodate his expanding collection. The tour lasts a maximum of two hours. An experienced lecturer will guide us around the house and its collection of paintings, architecture and furnishings. This is followed by a walk around the beautiful gardens. There is strictly no photography allowed anywhere at the property. Footwear and Access: Please wear flat soft soled shoes. Protective shoe covers will be provided and must be worn to protect the wooden flooring and original carpeting. The house is set in the side of a hill and is split level with the main areas of the house, the gallery and the garden being accessed by a series of steep stairs. There is no lift unfortunately so visitors with limited mobility will not be able to access areas beyond the entrance level of the house. Parking: Maximum 6 cars can park on the forecourt of the house. Parking is NOT allowed in the private road outside. NB Stanley Picker House is not to be confused with its associated Kingston University Stanley Picker Gallery in central Kingston, so make sure you head up Kingston Hill to the House. TRANSPORT: CAR/TRAIN /BUS Parking for 6 cars only. Bus K3 or 85 stops at Warren Road. TIME AND MEETING PLACE: Meet at the venue 1.45pm, returning to Teddington 5pm. The PRIVATE ADDRESS will be given to all who sign up. Join us for an all age 2-3 mile morning stroll in the beautiful Woodland Gardens, Bushy Park. Meet 10.15am in the Pheasantry Café in Bushy Park for coffee first, or at 11am outside the café for the start of walk. End approx 1.00pm. Our walk will take place in both of the Woodland Gardens and into some of the more remote parts of the second garden, through woodland and alongside a stream. We will see plenty of wildfowl and birds. 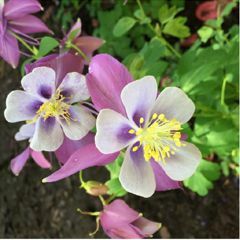 Spring flowers such as daffodils should be in bloom as well as early flowering shrubs. Around 12 o'clock we will stop for an early picnic so bring whatever you need with you. There will also be a quiz for all children taking part to keep them interested! Some parts of the walk may be over muddy ground so stout shoes and a waterproof jacket are recommended, together with a water bottle. TO BOOK: Email dilleyjanet@hotmail.com or swstephwilkinson@btinternet.com or sign up on the list at Reception. In 1813 Turner built this attractive and modestly-sized house in a large plot of land in Twickenham close to the river where he liked to fish. 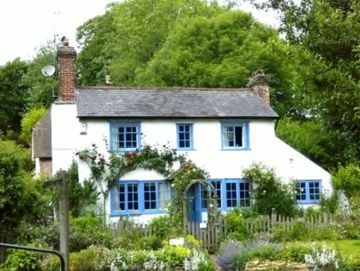 He used it as a weekend retreat from his busy London life as an academician and moved his father to live here. 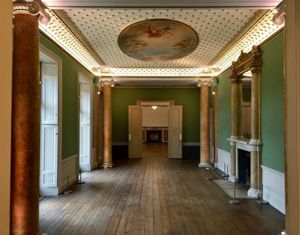 Great efforts have been made to conserve the house as an example of Turner's unusual architectural output for the public to enjoy. Various discoveries have been made in the process and we are very fortunate that on the day of our visit the house is running an additional talk on the archaeological finds from 12.45-12.55 before our main tour begins at 1pm. You can read more about the house on the link below or wait until the tour to find out about this new and exciting local heritage attraction. There is also an excellent video on the website on the House/History page relating the importance of the house and its state before renovations began. After the tour we will walk to a café in Crown Road (5 mins) for tea and cake or a late lunch. House facilities: Toilet and a small selection of items to purchase. Please note that the house has a number of stairs to navigate. BOOKING ESSENTIAL - 12 spaces only - please book BY 13 FEBRUARY 2018 by signing up on the sheet at Teddington Baptist Church. 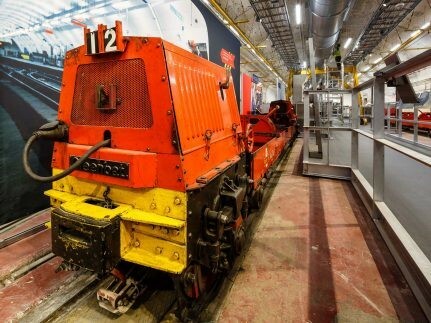 We have an exciting first outing to kick off our 2018 programme: Hop aboard the historic Mail Rail train that runs under London and visit the special Mail Rail exhibition and the Post Office Museum. Read more about it by clicking here. Mike is leading the outing which takes place on Saturday 20 January, meeting at Teddington Station at 12.30pm and returning around 6pm. Grab one of the 10 seats we have reserved by emailing mwmikewilkinson@btinternet.com as soon as possible. If places fill up fast we will run a reserve list. 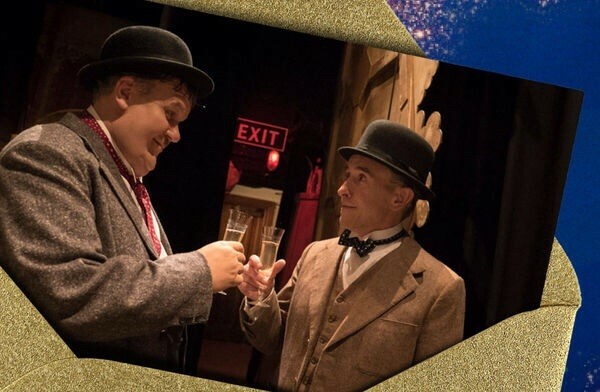 Payment will be required by 6 January latest to confirm our booking with the venue. 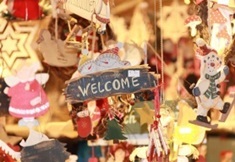 Get into the festive spirit with the sights and sounds of the annual Guildhall Christmas Market organised by the British Red Cross, which is open for one day only (10.30am-8pm). 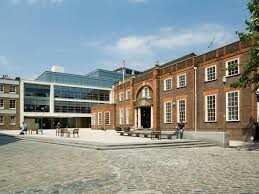 Also visit the free-entry Guildhall Art Gallery, which has a beautiful mezzanine gallery displaying paintings from 1670 to the present including Pre-Raphaelite masterpieces. A Roman amphitheatre exists in the basement which is well worth a visit too. Copyright 2017 Twentieth Century Fox Film Corp.
A 7.5 mile circular country walk starting and finishing in Shere, with a break for lunch in Peaslake. The route follows long stretches of beautiful ancient lanes which criss-cross this area of the Surrey Hills. We pass through sections of heath and woodland with the opportunity to see plenty of wildlife and enjoy views across the landscape. Bring boots or stout walking shoes, rainwear, something to drink and perhaps a snack. Walk is hilly, can be muddy, and beware brambles and stinging nettles as some paths are overgrown! The walk from Shere to our lunch stop at Peaslake will take about 2 hours. There are toilets in Shere and Peaslake, but none on the route - however we will have a 'comfort stop' in woodland after about 1.5 hours. The Hurtwood Inn at Peaslake serves light and not-so-light lunches (but be warned there is a short but steep hill to climb immediately afterwards!). There is also a village shop which sells freshly-made sandwiches, and there are benches available outside for a picnic - also a toilet available for customers' use only. The walk from Peaslake back to Shere should take around 1.5 hours, and there will be an opportunity for a cup of tea or maybe an ice cream before we head home. We will go in private cars - please let Gill know or indicate on the sign-up sheet if you need a lift or are able to offer any seats in your car to others. Suggested donation to drivers by passengers of £4. Approximate drive time 1 hour 5 mins. TO BOOK: Sign up on the list in the Atrium. Great Hall roof We depart Mottingham Railway Station, leaving suburbia behind, to walk along a wooded track part of the Green Chain walk and joining the ancient King John's walk. We pass horses in fields and a multicoloured stables to emerge above playing fields with an astonishing vista. 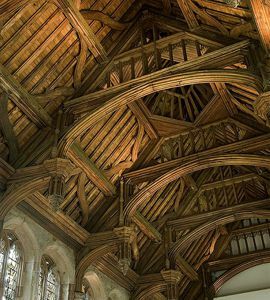 The Palace, once home to the child Henry VIII, fell into ruin, but the site was taken over by millionaire Stephen Courtauld and his wife Virginia to be their state-of -the art, all mod cons home, provided they restored the medieval Great Hall. Still remaining is the bridge over the moat, and ruined walls with hidden passages overlooking the lovely gardens including a rock garden cascade. The house and gardens can be visited very enjoyably with a multi media guide which is very easy to use. TO BOOK: Email ejhicks@btinternet.com or sign up on the list in the Atrium. Join Steph Wilkinson on a guided tour of the historic Museum of the Order of St John, from its 11th century origins in Jerusalem to its international role today with the St John Ambulance. Followed by a visit to the creative annual Clerkenwell Design Fair showcasing the best of latest contemporary furniture and interior design. TO BOOK: Email swstephwilkinson@btinternet.com or sign up on the list in the Atrium. Join us for a 7 mile circular walk from Bushy Park (Teddington Gate), Home Park and Riverside via Hampton Court Palace. Starts 10.15am at Teddington Gate to Bushy Park (end of Avenue Gardens) or join the walk at 11.15am at Old King's Head Pub, Hampton Wick. Finish approx 3pm at Teddington Gate. Quiz and Certificates for children taking part. TO BOOK: Email dilleyjanet@hotmail.com or swstephwilkinson@btinternet.com or sign up on the list in the Atrium. From Waterloo Station we walk (15 mins) across Waterloo Bridge to visit Two Temple Place on Embankment. It is one of London's architectural gems, an extraordinary late Victorian mansion built by William Waldorf Astor. The house is owned by the registered charity, The Bulldog Trust, and supports the charitable activities of the Trust through exhibitions and events hosted in the building. Sussex Modernism: Retreat and Rebellion is the sixth Winter Exhibition to take place and runs until 23 April. There will be time for coffee before viewing the exhibition and time for lunch afterwards. There may also be time to explore the surrounding Temple Area. In the cafe, there is a delicious selection of handmade sweet and savoury dishes including sandwiches, sausage rolls, hot soup and sweet treats. Barista coffees, a selection of teas and cold drinks will also be available. A wide variety of gifts, souvenirs and original art works are on sale in the shop. Taste different textile crafts using a range of materials to do patchwork, quilting, appliqué or try knitting or crocheting in a very friendly and informal setting. You'll have the opportunity to learn new skills by having a go yourself and watching others. Elizabeth and Joy have many years experience and expertise and will be very happy to pass on their knowledge in this free social workshop. No need to bring materials of your own unless you have something that you might like to decorate, for example a cushion or a bag. Also feel free to bring your own projects you are working on to share with others or to get some help with. It will be instructive, lively and fun and we hope to see you there! To reserve your place please sign up on the sheet at Teddington Baptist Church, email Elizabeth ejhicks@btinternet.comor ring 020 8977 8406 in advance. We are going to have a 'Coffee & Walk' at The Pheasantry Cafe in Bushy Park on Thursday 2 February starting with coffee at 10.00am and setting off for a walk in the lovely Woodland Gardens until approx 11.30am. Hope you'll join us. Just turn up or let Janet (07944 969 028) or Steph (07876 015 238) know you're coming. 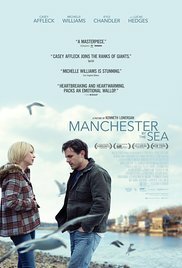 Our first outing of the new year is a cinema trip to see 'Manchester by the Sea' at Richmond Odeon Screen 6 on Saturday 14th January at 5.45pm (book online and meet there). All-age minibus day trip for Shopping & Cathedral visit plus optional tea and skating. Meet 8.50am for prompt 9.00am departure from Teddington Baptist arriving Winchester approx 10.10am. Arrive back about 5.45pm. Optional extras: £4 Cathedral Highlight Tour at 10.30am plus Food and Skating. Please sign-up early (sign-up sheet in the church) so we know whether we need one or two minibuses. This outing takes us to see the colourful artwork by Pollock, Rothko, Still, de Kooning and other big names at the Royal Academy. It is followed by a delicious lunch in a very atmospheric Moroccan restaurant nearby. Just 10 spaces available, so do book soon! A five-mile circular country walk starting and finishing on Ripley Village Green. The walk takes us on unmade paths along waterways and across fields, with views across Papercourt Reservoir - a popular area for rowing, sailing and fishing. Meet in Ripley at 10am for coffee at Pinnocks Coffee House, High Street, Ripley GU23 6AF if you wish www.pinnockscoffeehouse.com. Or come at 11am for the start of the walk from the car park for Ripley Cricket Club/Village Green, near to the public toilets. We will go in private cars - please let Gill know or indicate on the sign-up sheet in the church if you need a lift or are able to offer any seats in your car to others. Approximate drive time 40 minutes. in the stunning gardens of Hampton Court Palace. Doors open 6.30pm, film starts at 8pm. To book your tickets visit Lunar Cinema at Hampton Court. Saturday 9 July 2016 - Seaside Special! Fabulous day trip to Worthing in 53 seater coach. The cost will be £10 for the coach fare (£5 for children). plus an optional £10 pp tea at the Chatsworth Hotel. Advance booking essential (please book early). Minibus outing to Churt's beautiful woodland. The cost will be £15 plus train to Waterloo and tea (optional). Minimum of 13 people required. includes a boat ride to Camden Lock Market via Paddington Basin. plus the cost of any food and drink. This is a 6 mile circular walk from Teddington Lock enjoying the towpath, Terrace Gardens, Richmond Park, Pembroke Lodge and Ham Common. Certificates for children taking part! This is a private tour of a Victorian gem (18 Stafford Terrace) plus lunch and a visit to a food market plus a visit to exotic roof garden (if open) - all in Kensington. This is an all day outing to Little Venice includes a boat ride to Camden Lock Market via Paddington Basin. Discover the creative genius of one of the greatest British artists of the 20th century in an astonishing exhibition in the Berkshire riverside village of Cookham, which Spencer described as 'The Village in Heaven'. Invite your friends and families too. Do you struggle to make your flowers look amazing when you display them at home? Come and learn the tricks that will really help you create beautiful and satisfying arrangements. Cost £4 per person. 15 places available. Explore paintings, sculpture, Arts & Crafts and Art Nouveau in the Surrey Hills. Enjoy a leisurely Walk in the Park beside the Thames with ferry & picnic. Walk through Gothic cloisters, gorgeous gardens & visit Leighton House Museum. Explore London aboard our own group cycling vehicle while chatting & snacking. Learn the tricks and come and create your own stunning floral arrangement. Saturday 18 July 2015 - Who do You Think You Are? Learn how to research your ancestors on this interactive genealogical workshop. beginning and ending in Shere with a mid-way stop for a pub lunch. 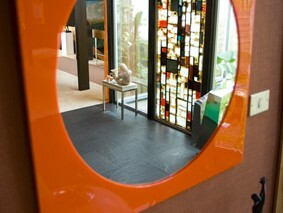 "It's a Social" is co-ordinated by Stephanie Wilkinson & Janet Dilley.